& deadpan vocals set against chiming guitars with a catchy chorus thrown in for good measure. greater than the sum of the parts. The next album HAD to be even better than the first! clang the final epic “Live In Your Head” * to it’s close, ART POP is a real voyage. twin voices of darkness & light on “Darkest Star”. 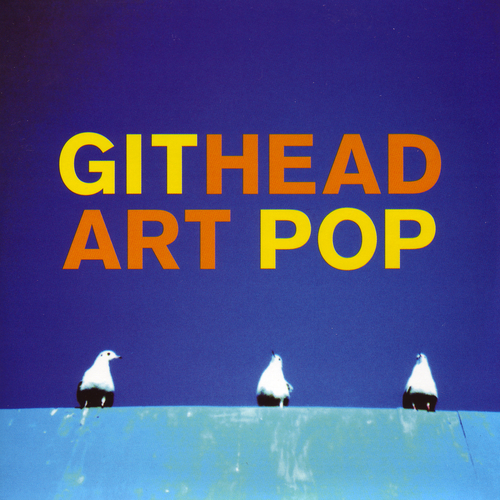 Githead makes the listener aware that it’s pop is ever tempered by the fact that it is always art. 2004 Githead were a cult classic of the future. That future is now here. GITHEAD create a marvelous connection of organic and electronic music. Unfortunately at this time we can't offer all the Githead - Art Pop tracks as individual flacs, as some of these tracks exceed the shops maximum (9mins) download length.